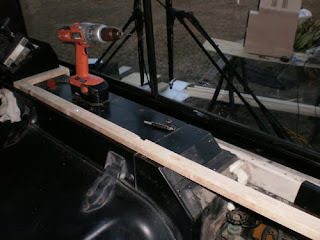 Over the past 3 days we have been working on the dash. 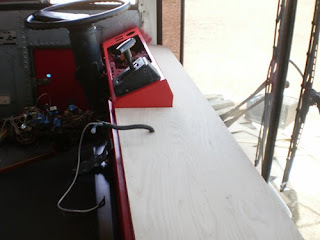 Here is the progress that we have made. 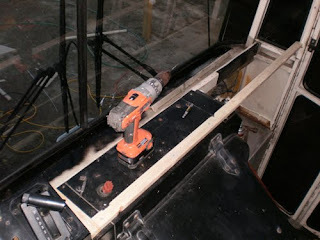 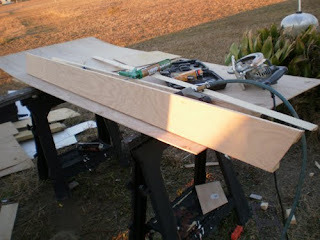 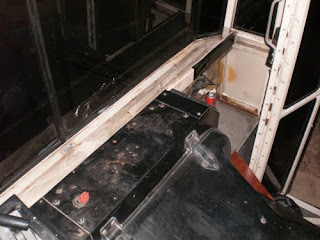 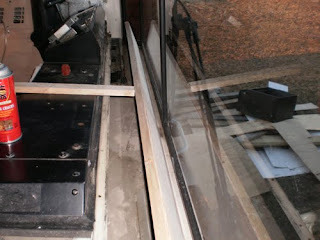 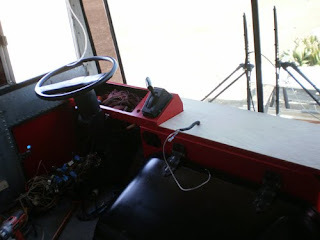 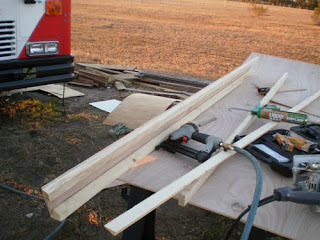 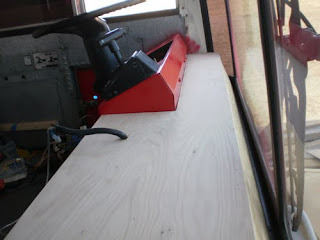 The first thing I built was the part of the dash that angles back from the front window. 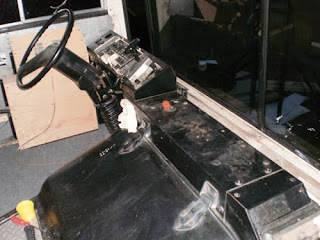 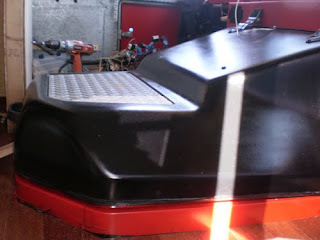 After the wood strips were installed we removed the engine cover and put a fresh coat of black paint on it. 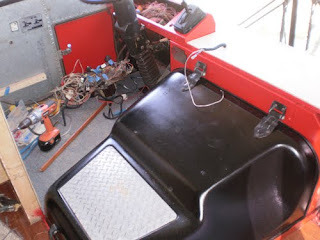 We then taped off around the dash and the metal that surrounds the engine cover and painted it all red. 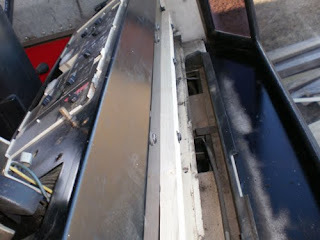 After the paint dried we installed the main top dash panel.